Juice Roll Upz is back again with another spin on their classic flavors. This time around, taking three of their classic blends and giving them a Salt Nicotine spin. 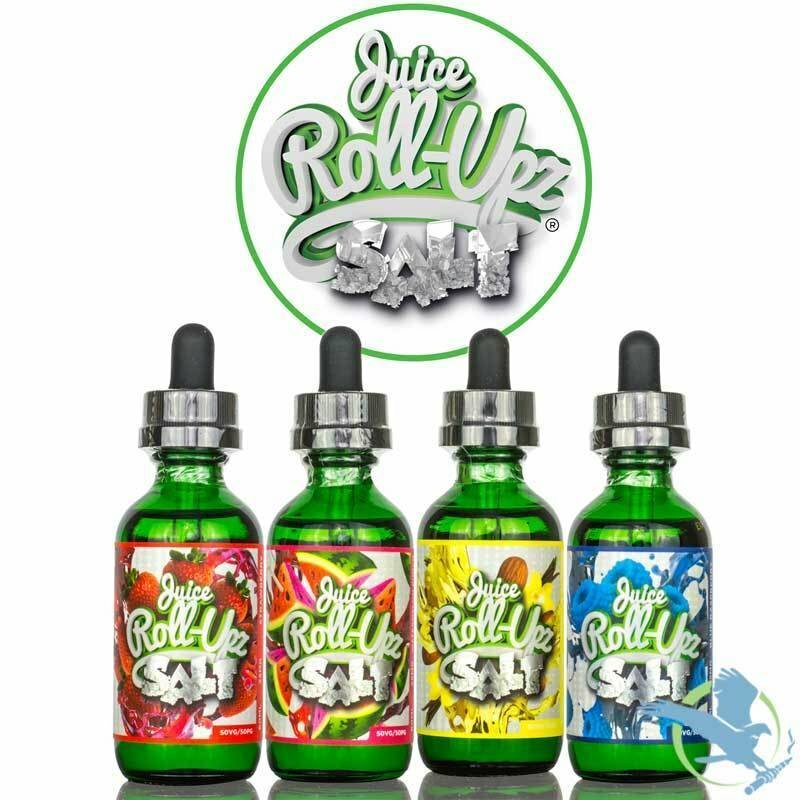 Juice Roll Upz Salt includes the three classics Strawberry, Blue Raspberry, Watermelon Punch and a new addition Vanilla Almond Tobacco. Take your taste buds on an exhilarating journey with Watermelon Punch Salt by Juice Roll Upz. A tangy yet sweet watermelon candy collides with fruit punch and a kick of salt nicotine to provide a rush of flavor that you won't be able to stop vaping. Reminiscent of the old school sticky red strawberry fruit roll up candy, Strawberry Salt now adds a kick of nicotine salt to revive your taste buds and keep you coming back for more. Blue raspberry vape juice with a kick of Salt Nicotine for the ultimate cooling vape juice. The inhale will provide you with sweet blend of blueberries and raspberries, while the exhale hits those refreshing salt nicotine notes that you crave.